Days of Moscow in Beijing took place on October 31 – November 3 with support from governments of the two capitals. Beijing residents and guests got the opportunity to get acquainted with Russian culture, cuisine, and customs. Businessmen and government representatives held negotiations and discussions regarding further development of the two biggest megacities of Europe and Asia, talked about potential projects, and gave presentations. 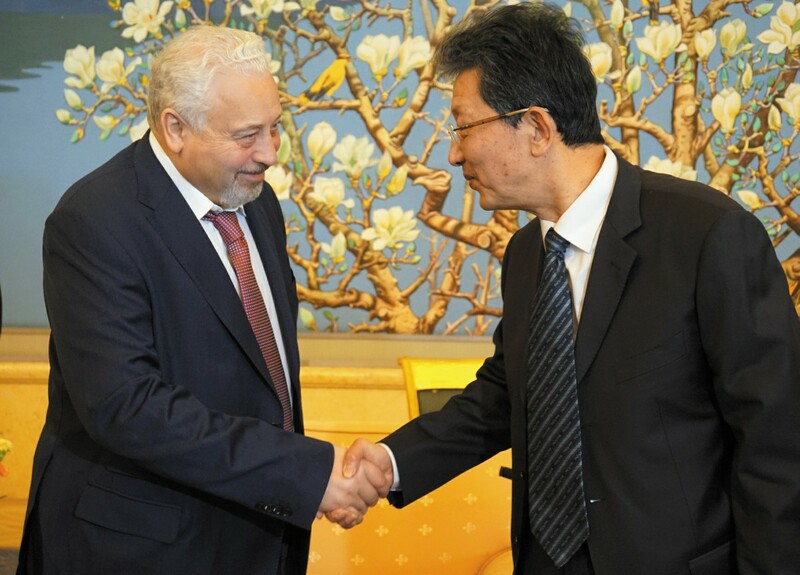 The 2018 cooperation program for Moscow and Beijing was signed at the Mayor’s Office of the Chinese capital by the Minister of the Moscow Government and Head of the Department of External Economic Affairs and International Relations Sergey Cheremin and Director of the Foreign Affairs Office of the People’s Government of Beijing Xiong Jiuling. There was also a meeting between members of the Moscow delegation and the Vice Mayor of Beijing Zhang Gong. The two sides agreed on long-term development of relations based on friendship, equitable partnership and strategic cooperation. Moscow and Beijing announced that both sides are ready to strengthen mutually beneficial cooperation in spheres like trade and the economy, research and technology, the energy sector, transportation, education, and healthcare. The capitals of the two countries also confirmed their intent to actively combat organized crime, drug trafficking, and illegal migration, expand contacts between legislative, executive and judicial bodies, and develop tourism. At the end of the signing ceremony, during his conversation with journalists, Head of the Moscow government delegation and Deputy Mayor of Moscow for Social Development Leonid Pechatnikov noted that the two sides approved a framework agreement on continuing business and cultural cooperation for the next three years. “Everything depends on relations between our two states. And right now, these relations are improving,” he said. “It’s very important for us that such a landmark event is taking place with support from the People’s Government of the Chinese capital,” Sergey Cheremin said, “Because just like China is a strategic partner for Russia, Beijing is a strategic partner for Moscow. It is no accident that mutual trade turnover between our cities is growing. In just the first six months of 2017, it increased by 20%. We’ve had lasting business contacts with Beijing for over 20 years. Chinese companies regularly take part in the development of the Moscow metro. Chinese specialists are working on the construction of the Moscow international business center Moscow City, and are helping develop our communication and telecommunication systems,” the Minister said. He especially noted that Days of Moscow is the first time that special attention is paid not only to official meetings and negotiations, but also to special business conferences, the hotel industry, cooperation between the zoos of the two capitals, and cooperation in the sphere culture and tourism. Within the scope of Days of Moscow in Beijing, the famous Beijing Zoo opened a photo exhibition dedicated to the Moscow Zoo. Representatives from the two zoos signed a Memorandum of Cooperation in the presence of Leonid Pechatnikov and Sergey Cheremin. Members of the Moscow delegation were shown giant pandas, which Beijing Zoo experts have been working to protect and breed for many years. These animals have been a symbol of China and the World Wildlife Fund for many years. A business lunch with the participation of members of the Moscow government delegation and China’s big business representatives took place within the scope of Days of Moscow in Beijing. Moscow Minister and Head of the Moscow Department of External Economic Affairs and International Relations Sergey Cheremin gave a presentation on the investment potential of the Russian capital. China has been one of Moscow’s key trade and economic partners for a long time. there are about 200 enterprises with Chinese capital registered in Moscow as of today, which puts the PRC in 9th place among foreign states in terms of this parameter. Over the course of the first 9 months in 2017, the volume of Chinese investments in the Moscow economy amounted to 557 million USD. China ranks 18th among foreign countries in this respect. However, according to the Minister, these numbers do not correspond to the true potential of Moscow and Beijing. “Moscow is a very interesting market and is one of the largest and most powerful agglomerations in Europe. In terms of consumer capacity, Moscow is in the top three biggest markets for Western Europe and Asia. Even though China is currently a leader in terms of external economic ties with Moscow, it still ranks 9th in terms of investment volumes into the economy of the Russian capital. Germany is in first place,” Sergey Cheremin pointed out. According to him, Moscow is currently building metro lines and just recently made the decision to attract foreign investors on concession terms: the total investment volume of the contracts will amount to 3 billion USD. Moreover, Moscow has a lot of rapidly-developing sectors of the economy that are of tremendous interest to investors. According to the Minister, these sectors include advanced technology, transportation, engineering and tourism. Moscow offers tax breaks, supports industry investors, industrial developers, as well as investment funds and companies that finance transportation and social infrastructure development projects, including within the scope of public-private partnerships. According to the Head of the Department of External Economic Affairs and International relations, one recent major accomplishment of the Moscow government was the introduction of a new law that protects investors from non-commercial risks, as well as provides for guaranteed partial sales of new products through Moscow’s government procurement system. “Right now, doing business in Moscow is more profitable than in New York, Paris, London, and a number of other big cities around the globe. Moscow is becoming more appealing for investors,” the Minister said. Beijing also hosted two roundtables: “Moscow-Beijing: city agglomerations” and “Environmental Protection.” The two events were particularly interesting to Chinese experts and journalists. Another special event was the “Travel to Moscow” conference, which was attended by dozens of leading tourism experts from Russia and China. In 2016, a record number of Chinese tourists visited the Russian capital – over 500,000 people. And over the course of the first 9 months in 2017, the number of tourists from the PRC grew by 30%. Starting in 2012, more guests have been coming to the Russian capital from China than from Germany, even though Germans were in first place in terms of tourist volumes for a long time. Sun You, Head of Beijing’s Tourism Committee noted that China is one of the countries where tourism is growing more rapidly. According to him, the framework agreement on business and cultural cooperation signed between the two capital, strengthens confidence that tourism between Moscow and Beijing will continue to develop successfully in the future. Days of Moscow in Beijing were very successful and mutually beneficial. In a discussion with journalists, Sergey Cheremin announced that Days of Beijing will be held in Moscow in the summer of 2018. “I am sure that our Chinese friends will hold equally impressive economic, cultural, and athletic events. The discussion was interesting and incredibly fruitful. Our cities have a lot of potential for cooperation. We can learn a lot from each other,” he said. 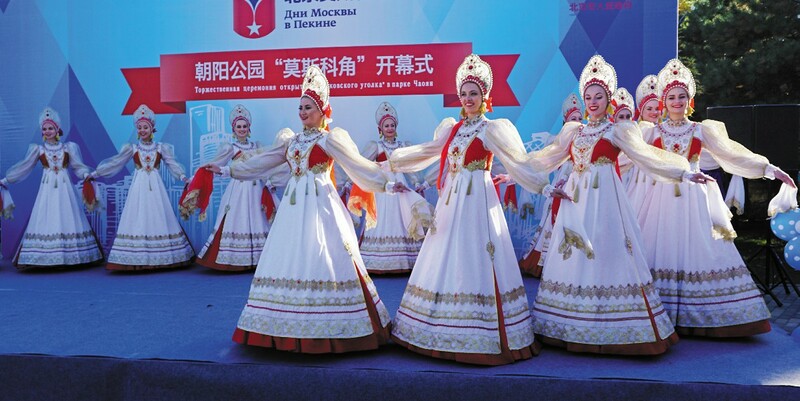 The final Days of Moscow event was a solemn ceremony dedicated to the opening of a Moscow corner in Chaoyang Park in Beijing, where a three-meter tall Russian Matryoshka doll was placed. This was a gift to Chinese children from the city of Moscow.